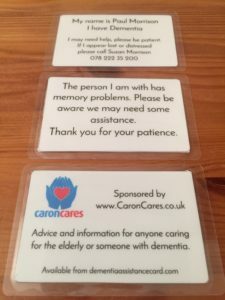 Still going strong, my free to make at home dementia assistance cards. 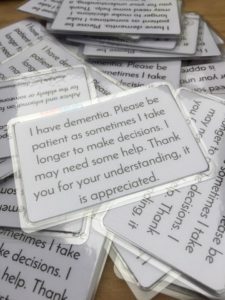 These personalised, award-winning cards help people with dementia remain independent for longer.They also give loved one’s peace of mind. If you can’t make them, use my contact form to ask me to make them for you. Free service to all. Donations accepted but never expected. You can make yours free of charge here or contact me using the contact form at the top of the screen to ask me to make some for you. 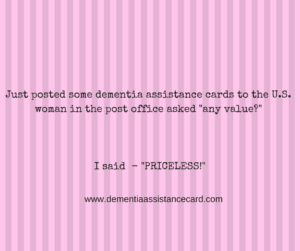 Thousands of them have been downloaded and the feedback has been amazing – so to me they are priceless. OMG! I have been nominated!